Shia Federation Jammu province in a meeting organised on the untimely demise of Hujjatul Islam wal muslimeen Agha Syed Mohammad Fazalullah, President of Anjuman Sharayee Shiaan J&K, the meeting was attended by President Shia Federation Alhaaj Ashiq Hussain Khan Vice President Sheikh Sajjad Hussain Vice President Alhaj Khwaja Bashir Hussain Mir, Maulana Syed Zawwar Hussain Jafry Karbalayee, Janab Arif Hussain Mir, Janab Zakki Hyder Sahib, Janab Maqbool Hussain Kulli, Syed Fida Hussain Rizvi, Adv. Zeeshan Ali Khan, Kamran Ali khan, Syed Qamar Ali Razvi, Syed Zulfikar Naqvi, Janab Syed Mannan Hyder Naqvi Secretary media, Janab Ghulam Mohammad Ganai, Janab Mohammad Yousuf Pathan and many others at Jammu. All the speakers paid rich tributes to Agha Syed Mohammad Fazalullah and said that he was a dynamic leader of the people of J&K. Janab Ashiq Hussain Khan, President, said that Hujjatul Islam Agah Mohammad Fazalullah was the back bone of Islamic revolution Iran in J&K . 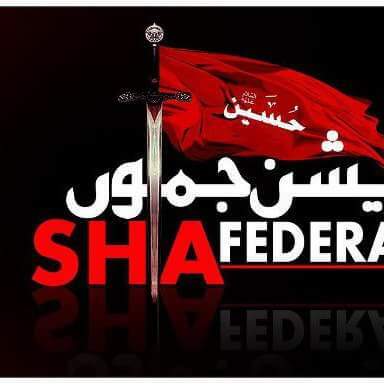 He never bowed down before any force,never changed his idealogy remained the soldier of the idealogy of wilayat e faqeeh and wali e faqeeh. .
Alhaj Ashiq Hussain Khan said that Agah Syed Mohammad Fazalullah Sahab was the strong supporter of ittehaad e bainul muslimeen and advocated to solve the Kashmir problem. Alhaj Ashiq Hussain khan said his mission will be taken farward. In the end surah e fatiha was offered to Agah Syed Mohammad Fazalullah Sahab and prayed for him a high place in Jannat ul firdaus.